Hello, everyone! Today I am bringing up a subject that could determine the future of one particular set in our database. As you may know, 75187 BB-8 is a large-scale droid set that was just released on September 1st. However, even though we currently have it under the Last Jedi subtheme, there is no doubt there are huge differences between it and the other six minifig-scale sets in the wave. That begs the question... should we label it an Ultimate Collector Series set? 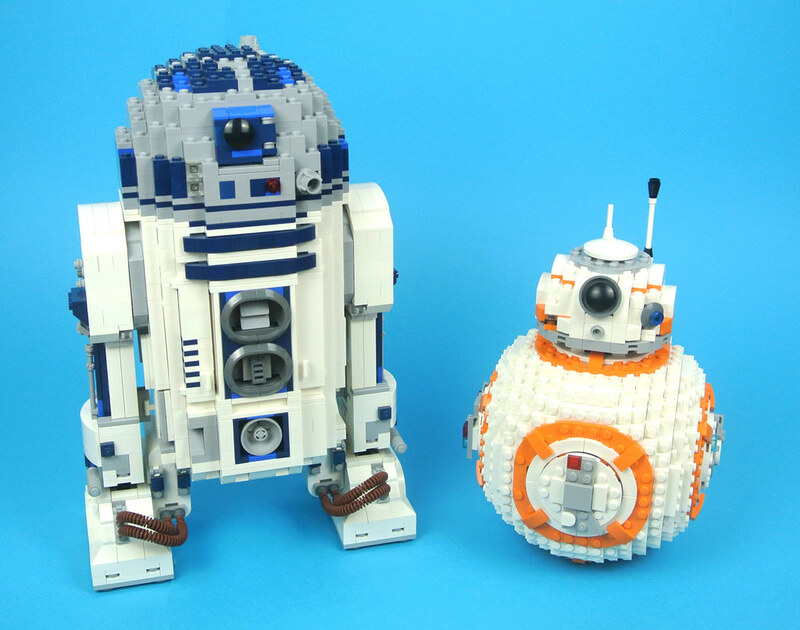 It is a large-scale, System-built figure done in the style of 10225 R2-D2, a UCS set from 2012. Like R2, it is built in a similar scale, has a display plaque, and includes the minifig version of the titular droid as well. Unlike other recent UCS sets, it does not have a gold badge on the box, and is available in most retail locations rather than only at shop.LEGO.com and LEGO Brand Stores. While released alongside the first wave of Last Jedi sets, BB-8 does not only go with this new film but is representative of the entire sequel trilogy. So, is the Last Jedi subtheme really the most appropriate place for it? We are aware of the attachments many may have to the UCS series, as well as what may qualify as a set and what doesn't (just look at Assault on Hoth). However, through your opinion we can come up with a designation that most can agree with. So the real question is - The Last Jedi, or Ultimate Collector Series? It's a modular, like Market Street! Really? I thought it was a BrickHead, myself! I would vote for putting it under the UCS sets. Mainly because R2-D2 is already there, and as TheBrickPal said, other than the UCS label, it is very similar in presentation. I would put it under UCS. All I know is this set will remain built unlike any other Last Jedi set I get. Does that make it UCS no but it is clear that it sits next to R2D2 nicely so sure why not. All UCS sets since the 2014 Sandcrawler have had the badge. Why does this merit a topic? As many others have stated, this clearly in't a UCS set, and there is no evidence to suggest otherwise. It comes in regular packaging, with no UCS badge on the box as has been the trend in recent years, and in case anyone is thinking of the Falcon being a new trend; the box doesn't look like that either. The plaque doesn't fit with the style of the ones in literally every UCS set. I will concede that Lego are probably torn between wanting it to fit with the R2 and not wanting to take attention away from the Falcon, so they went with this kind of in-between. It it has a plaque like some UCS sets. It is a large single model like others in the series. It is not scaled the same as the other non ucs sets (i.e. minifig scale). I know now it does not have a badge and therefore is not officially a ucs set. But it has the qualities of one which is how the database has classified previous non ucs sets. @Matt89190 Why so aggressive? I think I made it clear that we know BB-8 is officially NOT a UCS set. But it does deserve to be grouped with them, for technical purposes, due to its style, quality and other reasons stated in the first post. No evidence? I gave it. Also, who are the many others thinking it shouldn't be labelled as such? Most of what I see in this thread (and article comments) so far suggests otherwise. This topic has merit; it's a healthy debate. Really didn't mean to come off as aggressive; sorry! There's been a lot of talk about such things either in the Falcon rumours or SW discussion at one point (I forget which), so I'm just a little tired with the whole debate! I do apologise - reading that back, I did come off a tad harsh, but it genuinely wasn't meant that way. I do, however, stand by the last bit about TLG being torn and going for a kind of middle ground. LEGO evidently does not consider it an Ultimate Collector's Series set, as others have stated, so I would be hesitant to designate it a UCS set in the database. There is some room for debate concerning earlier sets as the UCS range was not truly defined until 2014 but it is now quite clearly branded and that branding is absent from #75187 BB-8. Having said that, I absolutely agree that the new set includes a number of features which we can associate with the Ultimate Collector's Series. I imagine it lacks the branding simply because LEGO thought it was worthy of selling alongside standard retail sets to the widest possible audience. No apology needed! I totally agree. In the end, it all boils down to personal preference. It's not a UCS until LEGO says it is 15 years from now in a Design Video celebrating its line of SW scale droids. It is as much a UCS as 10225 R2-D2. Not UCS. The designation should come from LEGO, not fans. If it does have the UCS tag attached to it, then so should any other sets that are like Obi-Wan's Starfighter and Naboo Starfighter, these are both UCS so others similar to those should be included. Also why not apply it to other non-UCS sets like the Helicarrier, Tumbler, Disney Castle, Haunted House, Helm's Deep, etc that some people think are UCS based on size, a plaque, etc. It becomes meaningless if fans get to say what is what, and there will never be consensus. It's your toy - call it what you like! That's fine for individuals. But the question is about the database. The question is really should the database be based on actualities/facts or should it be based on feelings? UCS sets are very diverse, the only common thing that differentiate them from regular sets is that LEGO refer to them as UCS. If I was a UCS-Only collector would I buy this set? Yes I would! It would display well with other UCS sets, esp given the plaque, display stand and scale of the set. Is it an official UCS set? - nope. For some reason, Lego omitted this from the UCS family. Maybe an error, maybe so other UCS sets could be produced under the UCS budgets internally...I would imagine the Falcon absorbed a lot of time/money within the Lego group. But, as always in life the answer is 42. Or that what qualifies a set as a UCS set changes through time. Would users of the database be happy if that was removed based on feelings, even if it ultimately leads to an inaccurate database? Here is the sort of mess the database would be in if fans were allowed to decide what is UCS or not. Italics are their quotes. What do you have it, 2014 starts with a branching off as well with The Simpsons! Ninjago City, Minecraft The Village and The Mountain Cave, Disney Castle, Silent Mary, GBHQ, Batcave, Quik-E-Mart and Simpsons House, Helicararrier, Tumbler, Sea Cow, Orthanc, Arkham, Diagon Alley, ..
Bb8 is not. There really is no debating it. If you still insist... Does the #10187 vw beetle count as a ucs? It's a large set with a plaque?? And also add #10241 Maersk Line Triple-E. It meets the large set and a plaque reasoning. I would like to submit #3429 Ultimate Defense to the debate. It is very extremely ultimate. One way to maybe appease most people would be to have the UCS label only applied to sets that have that badge on them. Hopefully everyone can agree that a set with the UCS label on is a UCS set (whether you think the set ought to be or not is another discussion). Then also have another label, USC-like, or something similar, for sets that the database maintainers think are like UCS sets. This would solve the issue for old sets that maybe Lego should have put the label on, and solve it for sets that look like UCS sets but are not. Of course the argument will move to should it be classified as UCS-like, but hopefully less so as it is more clearly based on the maintainers decisions. I dont think it needs to be such a black and white question. We could have a third option of 'Quasi-UCS' sets, including all the ones which are "near misses" like @CCC listed. I'd really wonder whether that is a useful tag to have. Someone still has to decide whether or not to include the tag in the database, whether this should or that should. If it is just based on number of parts, then it is simple (but there is the argument about how many parts are needed). If it is based on getting a certain number of hits for different attributes, then what are those attributes going to be? 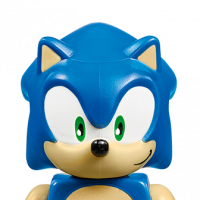 Number of parts, contains a plaque, licensed or not, not minifig size, display rather than play, ... These are all debatable to some extent (How many parts to be UCS? What shape plaque? Is Ninjago Movie licensed? Is DS minifigure scale or not? Is DS or EV or Ninjago City for play or display? And then does anyone really care if The Silent Mary is a "near miss UCS" set but the Imperial Flagship isn't? Or Diagon Alley is but Ninjago City isn't? One way to maybe appease most people would be to have the UCS label only applied to sets that have that badge on them. It is not the badge as such, but whether or not LEGO says they are. Early sets didn't have the badge, but had the branding printed on the box/manual. 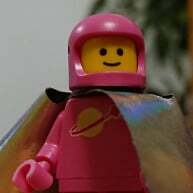 Some didn't have even that but appear on LEGO lists / posters of UCS sets. There can be no denying they are officially UCS if LEGO says they are. If LEGO puts out a new poster with UCS sets on it and BB-8 appears on it, then the designation should be updated, even though at present they have not used the branding. I'm with CCC on this. Until such time as Lego retrospectively says it's a UCS, it's not. Then filter by theme or tag or year as desired. Interesting discussion point. It's a slippery slope though. My 2 cents: Do not label as UCS as TLG have not labelled it as such. There are a few UCS Bricklists out there, folks can use their own criteria for Bricklists. I don't care if its ucs or not but it is on display with my other ucs sets and it looks like it belongs there. The problem with going by the box labeling is that several of the SW UCS sets were not labeled such in the box, but clearly are. Should we remove them from the UCS list? Not until TLG officially designates it as UCS - when concerning any set, SW or otherwise. Just because it has a sticker plaque doesn't mean it's a ucs and is a lame reason to have it be. My batpod is more of a ucs than bb8 and if the label denotes ucs then we need to include the ucs vw beetle and the ucs triple-e into the conversation. So I guess we need to remove 10188, 10212, 10221, 10227, 10236, and 10240 from the UCS list then. I know everyone has their own opinion and the a true UCS is a display model; but leave it to yourself to decide what is UCS. Some of the sets consider UCS others would not and I'm OK with that. 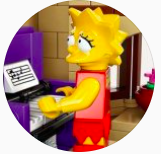 Per your guidelines, Please make sure the DB is updated to remove the UCS tag from 10188, 10236, 10240, and 10221. Maybe it's just CS because they don't think it's U enough, so then it's not eligible for the badge and branding. the question then would be, you are looking for the BB8 set, to which star wars category do you instinctly go to find it? I tend to use the search function. I don't have a horse in this race, as I have three categories I define my criteria on: Have, Want, Don't Care. I'm trying to find options that others might want. The idea of finding it by year is all very well and good until we're 5 years down the line and we can't remember (or new people have yet to find out) which year it was released in and have pages and pages to look through, even when sorting by parts or filtering by sequel trilogy or whatever. I don't care how Lego have categorised it, as they're inconsistent at best and ignorantly divisive at worst. If we have a tag that not many people use, then so be it - it's exactly a massive overhead to just have it hanging around, and if it's not useful, delete it. As to what might go in such a tag, I'd say all of them. ALL OF THEM! Anything that has ever been considered a 'near miss' or even a 'near near miss'. But not anything @CCC suggests, just because :-P (joking). But as Dr Dave says, if you're looking for info on BB-8 wouldn't you just search for BB-8?? Or if you're looking for large Star Wars sets, search for Star Wars and sort by parts descending. I think I must be missing the point of what a tag would achieve here? I really really don't have a horse in the race... but I see what people are getting at. At the end of the day, for me, UCS is a label that LEGO have come up with and have applied it illogically. The logical part of me says the database should only have the UCS tag on sets LEGO have deemed to be UCS. But I know there are a group of sets that are for "collectors" and fit a certain pattern. And many of those aren't necessarily Star Wars, and are not labelled UCS. But BB-8 isn't a large set, so it would be way down the list. I think people who consider BB-8 a UCS style set are considering it on many parameters, not size, but the display stand, the plaque, the style, and so on, making it something that collectors would display. That same definition fits sets like the BatMobile which isn't "UCS" but is that sort of display piece that people keep on a shelf to show people. The main set I, as a collector, have displayed for the last year or so, is Ragana's Magic Shadow Castle. Should that be labelled as a collector's set just because I think it's a worthy display item? What constitutes a display item will differ for each person. Is the plaque the main point of debate? Why not just do a "Plaque" tag then? The main set I, as a collector, have displayed for the last year or so, is Ragana's Magic Shadow Castle. Should that be labelled as a collector's set just because I think it's a worthy display item? What constitutes a display item will differ for each person. Indeed! You can see from above responses that the criteria for "UCS" varies. It's a vague concept that LEGO have not nailed down well at all. It's one of the main criteria. But some people think UCS should only apply to Star Wars too, for example. I think a "Plaque" tag a good start.